Okay cloth diapering mamas! 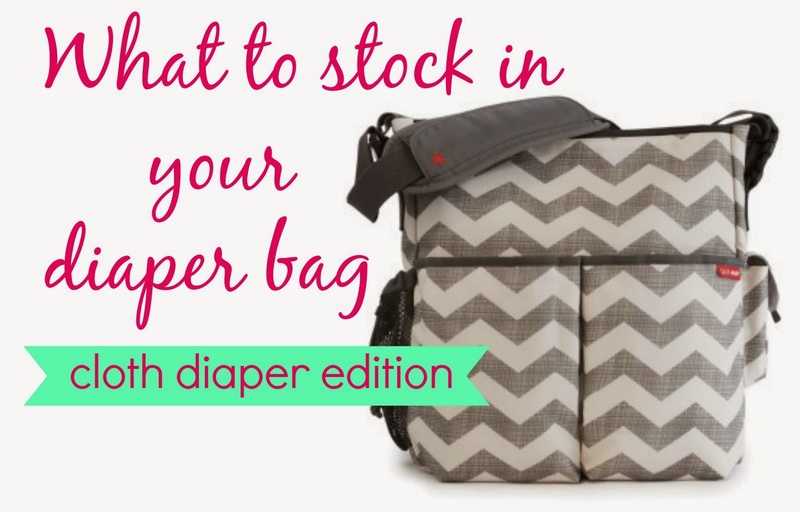 You may be wondering what you need in your diaper bag once your little one arrives! Here's my list of must haves! 1. Diapers! The number really depends on how long you will be away from your home. I would plan on one diaper for every 2 hours you'll be away, plus one extra just in case! 2. Wipes! You'll need a stash of wipes to get you through the outings as well. If you use cloth wipes that aren't pre-moistened, don't forget to bring a spray bottle of solution. 3. Diaper Cream! Even if you don't use diaper cream at every diaper change, you never know when you'll need it. A sample size is perfect for keeping things light in your bag. 4. Wet Bag! You need someone to store those dirty diapers that will keep the smell and wetness from contaminating the rest of you diaper bag. 5. Flushable liners! If your baby is on formula or solid foods, you may want to consider bringing a roll of flushable liners to make diaper changes a breeze on the go! 6. Changing Pad! You'll need someone clean to put your baby down for diaper changes. A blanket works as well. 7. Hand Sanitizer! Just in case you have to change your baby somewhere where you won't have access to a soap and sink, keep a small bottle of hand sanitizer near by! These are just the essentials for cloth diapers. What else do you stock in your diaper bag?